Four outstanding individuals, along with a pair of gold medal-winning Team Alberta squads comprise the 2018 Induction Class for the Alberta Hockey Hall of Fame (AHHF). 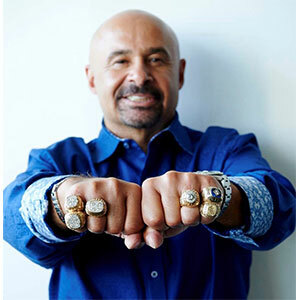 Grant Fuhr was one of the National Hockey League’s greatest goaltenders, playing on five Stanley Cup champion teams over a 20-year career (1981-2000) and earning induction into the Hockey Hall of Fame in 2003 in his first year of eligibility. The Spruce Grove native is best known for his 10 seasons with the Edmonton Oilers (1981-91). Grant was the Oilers’ first-round draft pick (eighth overall) in the 1981 NHL entry draft. He backstopped the Oilers to Stanley Cup titles in 1984, 1985, 1987, 1988 and 1990, appearing in 423 regular season games (228-117-54 record) and 112 playoff games (74-32 record). His best year was in 1987 where he accumulated a league-leading 4,304 minutes played and 40 wins. He earned the Vezina Trophy as the league’s best goaltender and was runner-up to teammate Wayne Gretzky for the Hart Trophy as the NHL’s most valuable player. During the 1983-84 season, Grant collected 14 points, still the single-season record for most points by a goaltender. In 1991, Grant was traded to Toronto spending just over a season with the Maple Leafs. Grant also played for the Buffalo Sabres (1992-94); the Los Angeles Kings (1994-95); the St. Louis Blues (1995-99); and the Calgary Flames (1999-2000). Grant retired prior to the 2000-01 season. After retiring he served as goaltender coach with Calgary for two seasons, and Phoenix for five years. His number 31 was retired by the Edmonton Oilers in 2003. In a ceremony during the 2017 All-Star Weekend in Los Angeles, Grant was named one of the 100 Greatest NHL Players in 100 years of NHL history. Alberta Sports Hall of Fame inductee in 2004. Recorded his 400th victory against the Florida Panthers in 1999 with Calgary, joining Tony Esposito, Glenn Hall, Jacques Plante, Patrick Roy and Terry Sawchuk as the only goaltenders in NHL history to reach the 400-win mark. Overall: 9th in games played (868) and wins (403), 11th in minutes in goal (48,945), second in assists (46), most assists (14) by a goaltender in a single season (1983-84), and most wins (16) in a single postseason (1988). Mike Vernon is a two-time Stanley Cup champion and a Memorial Cup winner, who played 19 seasons in the National Hockey League with four teams. Mike hoisted the Stanley Cup in 1989 with the Calgary Flames, and then again in 1997 with the Detroit Red Wings. Mike started his career and finished it with the Flames (1982-94, 2000-02). After starring in the Calgary minor hockey system, Mike moved on to the Calgary Wranglers of the Western Hockey League and was drafted by the Flames in the third round, 56th overall, at the 1981 NHL entry draft. 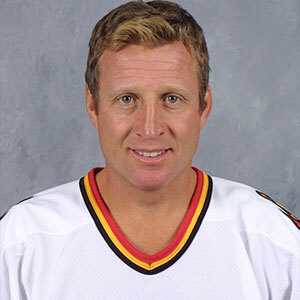 Mike recorded his first regular season victory over the Vancouver Canucks in January 1986, and then solidified his position as the Flames’ starting goaltender in 1986-87, finishing third in the NHL with 30 wins. In 1987-88, his 39 wins were second in the league, one behind Grant Fuhr. The 1988-89 season was one of Mike’s finest. He led all NHL goaltenders in wins with 37 and was second with a 2.65 GAA. In the seventh and deciding game of the first round of playoffs against Vancouver, Mike made a spectacular glove overtime save on a Stan Smyl breakaway that came to be a defining moment of his career, and was later called "the save that won the Cup". The Flames defeated Vancouver and then went on to defeat the Los Angeles Kings, Chicago Blackhawks and Montreal Canadiens to win Calgary’s first Stanley Cup championship. Mike was traded to Detroit in 1994 and spent three seasons with the Red Wings. In the 1997 playoffs, Mike recorded a 16–4 record with a 1.76 GAA and was named the Conn Smythe Trophy winner as the most valuable player of the playoffs as Detroit won its first Stanley Cup championship in 42 years. His career also included stints with the San Jose Sharks (1997-2000) and Florida Panthers (2000). Retired 7th all time in regular season wins (385), 4th among goalies in playoff appearances (138), and 5th in playoff wins (77). The list of accomplishments for the native of Wadena, SK, includes national and international championships as a coach, numerous roles with Hockey Canada’s national team programs, mentor to coaches at various levels in Alberta, and author/co-producer of numerous videos and resource materials for coaches of all levels. He points to his time as player with Canada’s national team (1968-69), under coach Father David Bauer, as instrumental in instilling in him the importance of sport and the Olympics in developing a better society. Wally is a National Coaching Certification Program (NCCP) Level 5 certified coach, course conductor, certified Mentor leader, coach evaluator and Master Coach. 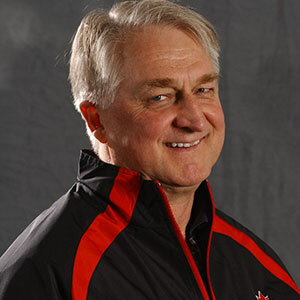 From 2002-2010, Wally was integral in establishing the framework for Hockey Canada and the Women’s National Team program. In 2002, he was named Hockey Canada’s head scout of national women’s team and was responsible for the development and execution of the female scouting plan, player evaluations and player selections for Canada’s National Women’s Team, National Women’s Under-22 Team and National Women’s Under-18 Team, and helping assemble national teams for 19 international events, including 4 Nations Cups, IIHF World Championships, European Air Canada Cups, and pre-Olympic tournaments. 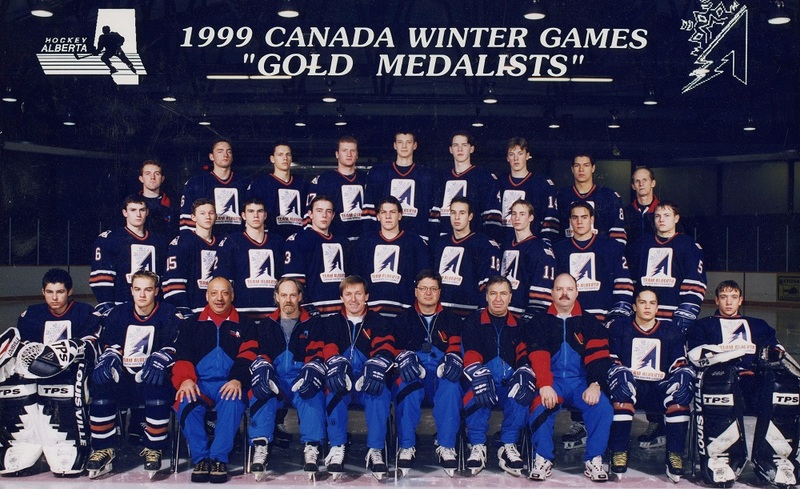 Wally played a significant role as an advisor/mentor coach with the Japan Ice Hockey Federation, 1995-98, in preparation for the Nagano Olympics. He delivered coaching clinics to all levels of coaches across the country, served as Associate Coach to the Senior and Under 20 men’s teams at the 1996 World Championships and Asia Winter Games, and Mentor Coach in 1997 at three events with the National Women’s team. Wally has also had a significant influence at the local and provincial levels. Most recently, he has been working with Hockey Alberta to help with adult leadership, parent education and coach development; conducting coach certification clinics; providing curriculum (practice plans) with mentorship; mentoring coaches at Alberta Challenge and Alberta Cup camps and competitions. He has also excelled in coaching roles outside of hockey. He was the Head Coach of the Under 16 and Senior Ringette, National Champions (1990), and coached school football, wrestling and track and field. 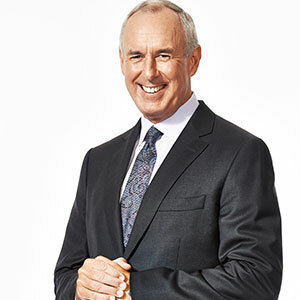 Currently the host of Hockey Night in Canada and Rogers Hometown Hockey, Ron began his broadcasting career in 1978 at CKRD Radio in Red Deer, and in 1984 became host of the Calgary Flames television broadcasts on CFAC in Calgary. He became the sports anchor on the local evening news before joining CBC in 1986 as host of the Toronto Maple Leaf broadcasts on Hockey Night in Canada. In 1987, Ron became national host of Hockey Night in Canada, which included hosting the legendary Coach’s Corner with Don Cherry. Beginning with the 2014–15 NHL season, Ron was hired by Rogers Media when the company acquired the national rights to the NHL. During his career with CBC, Ron hosted 11 Olympic Games, the Commonwealth Games, IAAF World Championships, World Cup Hockey, the Calgary Stampede and Queen’s Plate. Throughout his career, he has interviewed Canada’s top athletes - including Wayne Gretzky, Mario Lemieux, Catriona Le May Doan, Jamie Sale and David Pelletier - bringing the peaks of emotions and championships to living rooms across the country. In 2015, Ron was recognized for his work on Hockey Night in Canada with a Canadian Screen Award for Best Host in a Sports Program or Series. Ron and Cherry also were inducted to Canada’s Walk of Fame, a prestigious honour acknowledging the achievements and accomplishments of successful Canadians. two-time George Gross Award recipient, honouring excellence in sports broadcasting. Ron has published two books: “Hockey Towns: Untold Stories from the Heart of Canada” (2015), which tells untold hockey stories from towns across the country; and “Cornered” (2011), a Canadian best seller packed with inside accounts from Ron’s early days as a part-time radio announcer and weather forecaster in Red Deer to his time hosting Hockey Night in Canada and the Olympics. He lives with his wife, Cari, in Oakville, ON. Ron and Cari currently serve as the Honorary Co-Chairs of the 2019 Canada Winter Games being held in Red Deer in February 2019. Front: Lynn Mortensen, John Kosolowski (Head Coach), Loretta Normandeau (Assistant Coach), Suzette Gillingham, Valerie Gill, Trish Sury, Shannon Miller (Assistant Coach), Larry Pearson (Director of Operations), Jodie Kolada. The 1991 Canada Winter Games in Charlottetown, PEI marked the first year for female hockey in the Canada Winter Games, and it was a record-setting performance for the players who were selected for the inaugural Team Alberta Female Hockey squad. First and foremost, the team won the gold medal, defeating British Columbia, 2-1, in the championship final. Twelve-year-old Hayley Wickenheiser, an underage player on the team, scored the tournament winning goal in the third period, providing a glimpse of what was to come during her impressive career with Canada’s National Women’s team that included five Olympic medals and 12 World Championship medals. As well, one of the team’s coaches was Shannon Miller, who went on to an impressive coaching career with Team Canada and in the NCAA. An unofficial member of the team, but a very important one, was multiple Olympic Champion Coach Mel Davidson, who was the team’s advance scout. In winning the first-ever Female Hockey gold medal, Team Alberta overcame some adversity. The team finished second in its pool with a 3-1 record, that included wins over Manitoba, New Brunswick, and Newfoundland. The loss was a 5-0 decision to Quebec. That set up a semi-final against the pre-tournament favourite Ontario. But Team Alberta played a focussed game, hanging on for a 4-3 victory and a berth in the final. The event was a tremendous experience for the entire team, and it was very gratifying to come away with the gold medal because of the amount of hard work invested in the program by the players and the team staff. In addition to its accomplishments on the ice, the staff and volunteers with Team Alberta established an evaluation, selection and team preparation process that has continued to be effective. Offensively, Team Alberta was lead by Bobbi Auger with 10 goals and three assists. Other top scorers included Sandy Mikula (two goals, six assists), Suzette Gillingham (three goals, five assists), Val Gill (two goals, six assists), and Wickenheiser (three goals, three assists). The 1999 Canada Winter Games marked a significant year for Newfoundland and Labrador. Not only was the province celebrating its 50th anniversary of Confederation with Canada, but it was also the first time the province had ever hosted a Canada Winter Games. For the members of the Team Alberta Male Hockey squad, they helped the host province celebrate by going undefeated to win Alberta’s third gold medal in male hockey in Canada Games competition. The tournament started and ended against Quebec for Team Alberta. After opening with a one-goal victory over Quebec, Team Alberta finished first in round-robin play with convincing wins over Manitoba, Yukon and Prince Edward Island. In the semi-final, it was another blowout victory, 6-0, over Ontario, to set the stage for a rematch with Quebec. In the gold medal game, Scott Hartnell demonstrated the offensive prowess that would eventually lead to a National Hockey League career that currently spans 18 years. Hartnell earned assists on both Alberta goals in regulation time, and then scored the winner in overtime, as Team Alberta eked out a 3-2 victory to claim the gold medal. Dave Selthun and Blake Robson scored Alberta’s goals in regulation time.